It's Not Just The Park Service: 'Rogue' Federal Twitter Accounts Multiply : All Tech Considered What started as one "unofficial resistance" Twitter account has grown to a list of more than 80 "rogue" accounts advocating for the science community and climate change research. 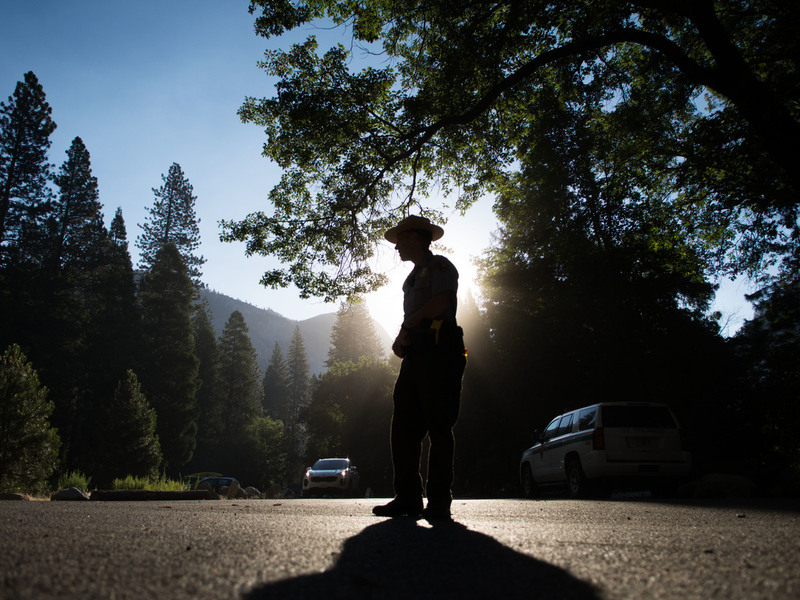 Multiple Twitter accounts claiming to be run by members of the National Park Service and other U.S. agencies have appeared since the Trump administration's apparent gag order. The account owners are choosing to remain anonymous. "Rogue" accounts that have the look of those by real federal agencies are spreading like wildfire on Twitter. The AltUSNatParkService Twitter account has gained more than 1 million followers and inspired the creation of many more "unofficial resistance" accounts for specific national parks and other entities, including accounts like Rogue NASA and AltUSForestService. Some of these accounts — this list has compiled more than 80 of them — initially claimed to be run by members of these organizations, but many have since altered their descriptions, or in the case of the alternative National Park Service have said the account was handed off to environmentalists and activists. But that's just it. These are all claims. None of the account owners have come forward and identified themselves. Instead, they are choosing to remain anonymous and continue tweeting out facts about climate change and directly opposing the Trump administration. While the accounts are making news with their defiant tweets and stances against President Trump, it should be noted that accounts of this type are not new. In fact, this has been happening for years as people have created accounts to mimic the language and tone of a North Korean News Service as well as more comedic accounts for fictional television characters like Tina from Bob's Burgers. What's different about the number of rogue accounts that have come about as a result of the Trump administration's apparent gag orders on some federal agencies is that this form of expression could be a logical way to oppose a media blackout. There are several accounts related to the Environmental Protection Agency, which has reportedly been targeted by the Trump administration over its climate research. Accounts like @ungaggedEPA and Stuff EPA Would Say list similar missions: to "flood the Web with real climate facts" and say things the EPA "is unable to tell you." So even if these accounts are just run by supporters and not actual members of the agencies, do they still serve a purpose? Probably. It's true that most senators or congressional representatives probably don't spend a ton of time looking for constituents on Twitter. So some of these accounts are encouraging their followers to take action by calling their congressional representatives and providing scripts for what to tell their lawmakers. Additionally, and much like last weekend's Women's March on Washington, these accounts have given rise to what is being called the Scientists' March on Washington, an event that is still being organized but has already fostered communication between regional groups. Eric Holthaus, a meteorologist in Tucson, Ariz., writes about weather and climate. While he hasn't been able to identify any of the rogue account owners, he has found people in his area he can meet up and collaborate with on ways to be active in their resistance. He says he sees the creation of these accounts and dissemination of the facts on climate change as being in the public interest. "I think that it's natural that scientists would want to retain their political power and say. 'This is not OK and we as scientists want to stand up for fact-based policy and spreading the truth that human activity is changing the climate,' " Holthaus says. As for now, it seems like most of the accounts just want to continue to share facts and spread the information that's available. A few of them include jokes, or snarky comments aimed at Trump, but all of the actual participation that they are advocating for is normal, and really just advocating for participatory democracy.